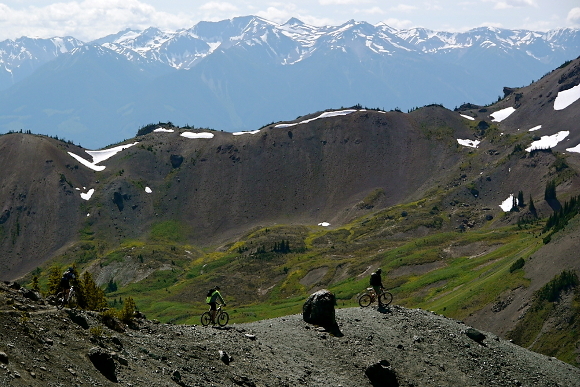 An all-mountain riding trip in North America's premier mountain bike playground. Join us as we explore British Columbia in partnership with Big Mountain Bike Adventures. 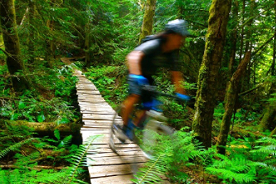 Meet at the hotel at 9am for your trip orientation and ride out the hotel door for a full day on Whistler's incredible network of all-mountain trails. In the evening we'll enjoy a group welcome dinner together. If you are flying in, we can help to arrange your transportation for an additional fee. 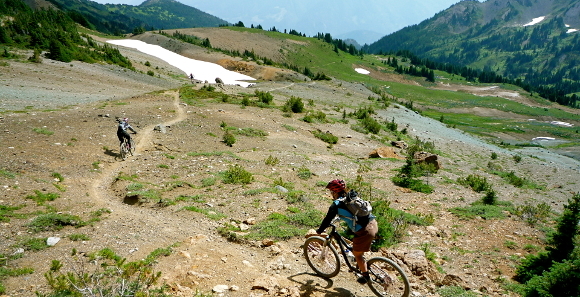 Ride out the hotel door for a full day on Whistler’s incredible network of all-mountain trails. A swim in one of Whistler’s lakes is definitely planned post-ride. In the afternoon we'll pack up and check in at a hotel in Pemberton, about 30 minutes away. Ride: 15 miles, 3,000 feet climb, descent. After breakfast the group will ride out from the hotel to some of the sweetest undiscovered trails in the region. Located on the edge of the Coastal Mountains, Pemberton is lower elevation, much dryer and more open than Whistler or Squamish. 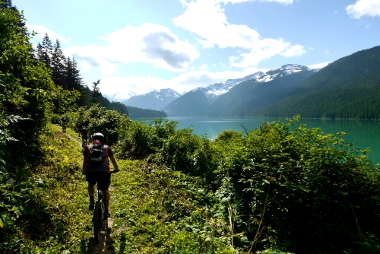 After riding we'll head to our lakeside cabin in the Southern Chilcotins and enjoy a home-cooked meal together. Ride: 8.5 miles, 2230 feet climb, descent. This morning the group will fly on a float plane from Tyaughton Lake to the remote teal-blue Lorna Lake surrounded by snowy peaks and glaciers. We have a few options today, from epic to very epic! No matter what, the minimum distance that we need to pedal is 40 kilometers (or 25 miles), mostly rolling downhill on a beautiful ribbon of singletrack. Hearty riders in the group can opt for some big passes if they wish, including Deer Pass and Windy Pass. The last (massive) descent is back down to our lakeside accommodation and a meal at the lodge near our cabin. Ride: 25 miles, 1,100-foot climb, 2,500-foot descent. 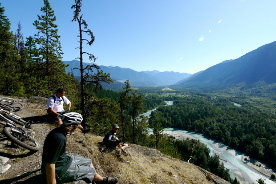 This morning we’ll depart after breakfast and drive back to Whistler for lunch, then 40 minutes further to Squamish dubbed the Outdoor Recreation Capital of Canada, a singletrack paradise that’s achieved cult status among mountain bikers. After dropping off the gear at the hotel the group will head out for ride. Pack up and head out. If you are flying, we recommend booking flights no earlier than 1pm. 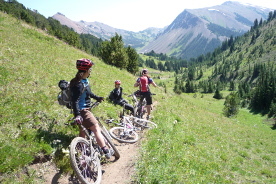 Guiding from an expert Big Mountain Bike Adventures guide and one evo support staff (maximum group of ten). All transportation during the trip, including one Float Plane flight. Welcome dinner and one bag lunch. Explore the best that BC has to offer with an all-mountain riding adventure. We visit Whistler, Pemberton, Squamish and explore the South Chilcotins via Float Plane on this BC dream trip. The perfect bike for this trip is a 5-6” travel all-mountain dual suspension bike with hydraulic disc brakes. All participants are required to have their bikes in excellent working order before the trip begins. We will be visiting several distinctly different climate zones: from rainforest to high mountains. In big mountains, weather can change quickly and drastically - it could be 80 degrees one day and then nearly freezing on a mountain top the next day. This region can also receive considerable rain – be prepared. Generally though, the weather during the summer is hot and sunny. Can I choose my roommate / book a private room? Yes, based on availability. If you have a roommate request, please let us know. By default, we will place two people of the same gender per room with two beds. Single Occupancy rooms may be available at an additional cost of $370. There are no single rooms available the two nights in Boyd's Cabin (trip 2). Please check in with Customer Care before booking if this will determine your participation. 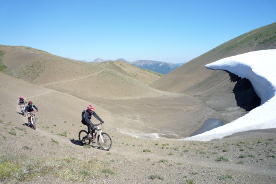 The technical ability: This trip is for those who have been riding consistently for three+ years and consider themselves technically 'advanced’ - in other words, comfortable and confident on mildly technical terrain. We won't be focusing on the hardest trails but instead the best trails. There will be man-made bridges; some you will ride and others you might walk. The beauty of the trip is that you will get to ride with born and bread locals and most days you have the option to add on some trails. The fitness level: The days are all a little bit different, our shortest day is about 7 miles with a 3,000-foot climb (and descent!) 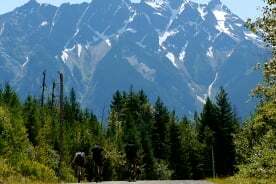 (at Pemberton) and our biggest day has options but can be up to 25 miles with a 1,000-foot climb and 2,500-foot descent (Tyaughton Lake in the Chilcotins). Most days are about 10 miles. You should be able to ride four-six hours per day for two-four consecutive days and are comfortable pushing and hiking with the bike for sections. You can find a complete gear list above. 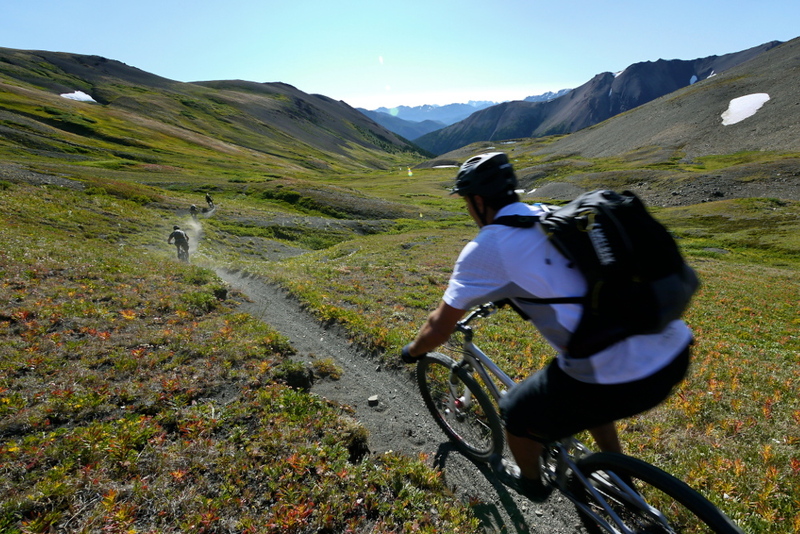 We recommend bringing your own bike, however we can provide high quality rentals for CAD $70-80 per day. You will be responsible your own airfare for the trip, transfer to / from Whister, as well as any costs associated with transferring your bicycle. Most lunches and dinners. We recommend that you purchase travel insurance to protect your flight and belongings as well as cover medical expenses. We recommend planning to spend CAD $350 on meals, drinks and extras. This trip includes ground transportation to trails and hotels as well as one float plane flight. It includes three nights in a double-occupancy hotel room at the Aava Whistler Hotel and two nights in a rustic cabin (Tyax, for trip 1 is better appointed than Boyd's for trip 2). You will enjoy one welcome dinner and one bag lunch. 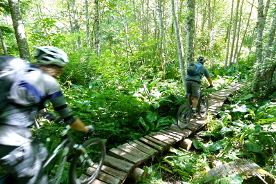 All riding will be led by a certified guide from Big Mountain Bike Adventures. The deposit for the trip is non-refundable and cancellations will be subject to a cancellation fee (see policy below). For this reason, we recommend you consider purchasing travelers insurance, which will cover the cost of your trip in extenuating circumstances. All cancellations must be submitted to evo in writing, are effective as of the date we receive them according to our internal records, and will be subject to a cancellation fee as follows (amounts are per person and only apply to amount paid after the non-refundable deposit amount): Cancellation 60 days or more prior to trip departure - Non-Refundable Deposit. Cancellation between 30 and 59 days prior to trip departure - 50% of total booking cost. Cancellation less than 30 days prior to departure - 100% of total booking cost. Cancellation policy for custom trips may differ from these terms and will be communicated prior to booking. No refunds will be made if you voluntarily leave a trip for any reason after the trip has begun. The same applies if you leave a trip or cannot fully participate in a trip due to injury or illness. Refunds will be at the discretion of the Company if you are involuntarily forced to leave a trip for any reason. No refunds will be made for any accommodation, transport, sightseeing, meals or services not utilized. You can pay the full amount now, and we will consider $5000 to be a non-refundable deposit in accordance with the contract.The full payment is due 60 days prior to departure. You are responsible for booking your own travel and you must arrive at the Vancouver International Airport by 11:00 am on the first day of your trip. We will be waiting with an evo sign in the terminal just outside of customs. Alternatively, you may drive to Whistler and check in at the Aava Whistler Hotel. We will provide more details as the trip approaches. Yes, and… For group meals provided by evo, there will be options available. For all dietary restrictions, we recommend that you bring some snacks just in case. 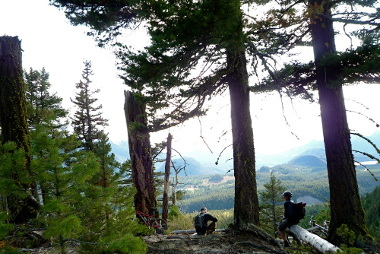 incredible network of all-mountain trails. A swim in one of Whistler’s lakes is definitely planned post-ride. After the ride the group will go out for a welcome dinner in Whistler Village. August 6 After breakfast, the group will head out for a full day exploring Squamish’s endless web of singletrack. We’ll end the day with a well-earned cold beverage in Squamish. Southern Chilcotins and lakeside accommodation at Tyax Lodge. singletrack. The last (massive) descent is back down to our lakeside accommodation. Squamish. After dropping off the gear at the hotel the group will head out for a ride. August 10 Check out of the hotels and head home. If you're flying, we recommend flights no earlier than 1pm to give yourself enough travel time to Vancouver. 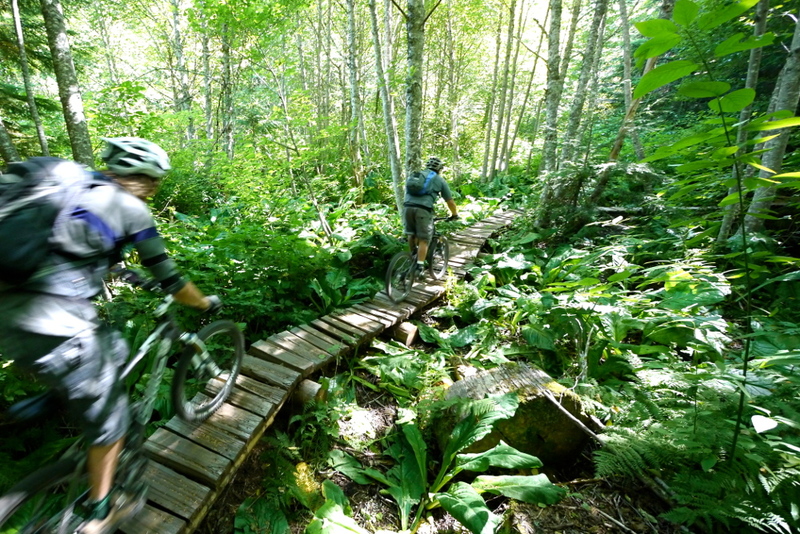 September 2 After breakfast, the group will head out for a full day exploring Squamish’s endless web of singletrack. 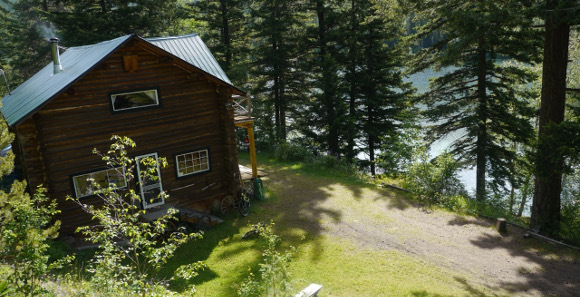 Southern Chilcotins and lakeside accommodation at Boyd's Cabin.